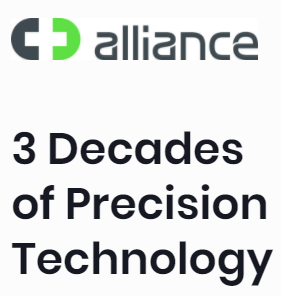 Alliance Global Technology has been specializing in precision technology for more than three decades, with a worldwide team that consists of many of the highest qualified experts. 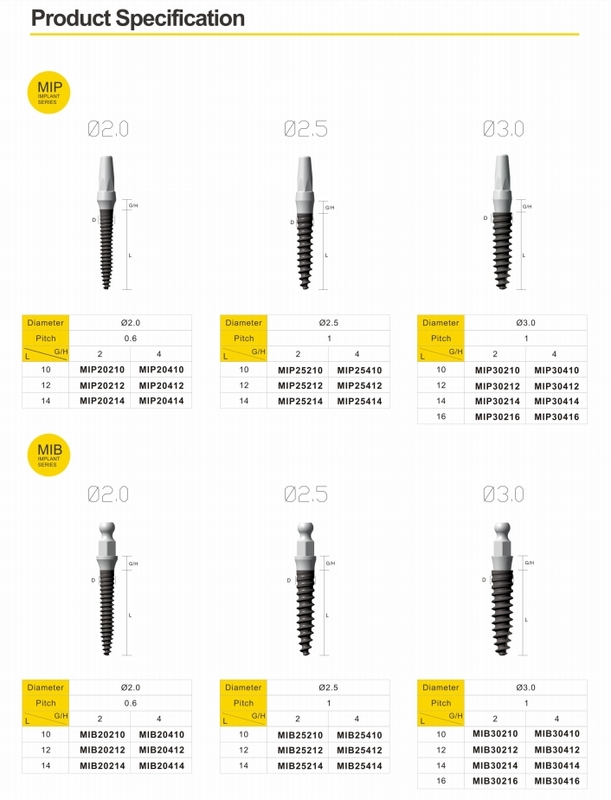 Alliance Implant was founded in 2008 by Chairman of Alliance Global Technology in cooperation with a group of dental implant industry leaders in Taiwan. 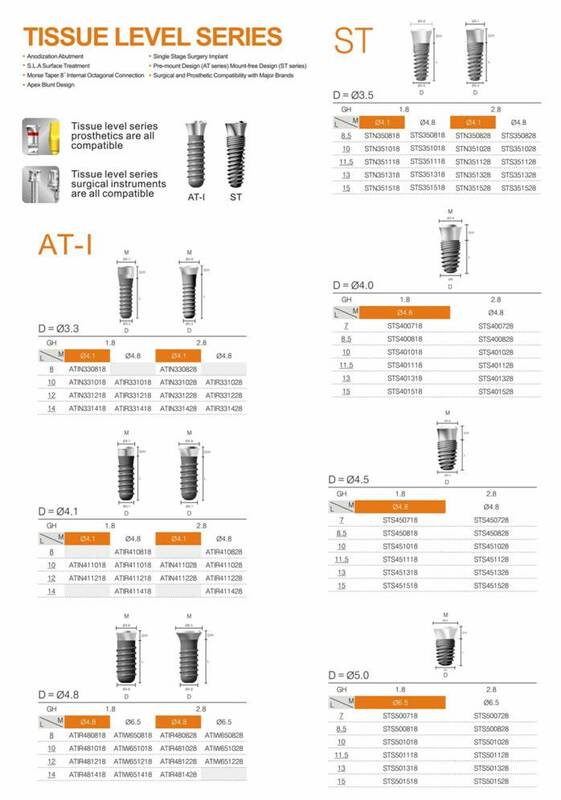 For many years, Alliance has been supplying Anker Dental Implant Systems to dentists worldwide. 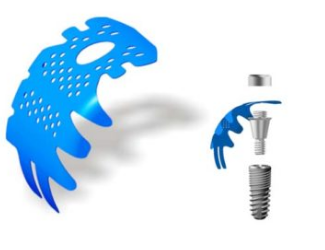 Alliance also provides OEM/ODM services for orthopedic implants and surgical devices. 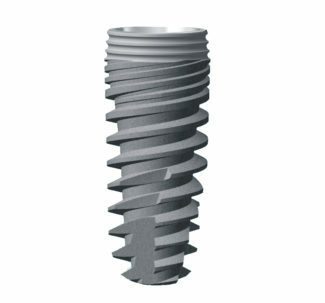 Alliance’s dental implants have been certified with US FDA, CE, TFDA, CFDA, ISO 9001, ISO 13485 and GMP, and owns many patents and innovation awards. 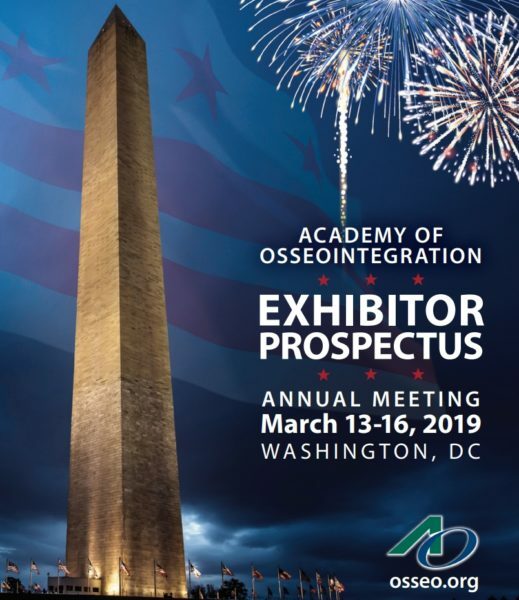 In partnership with renowned dental schools and colleges across the globe and specifically Asia, Alliance has been offering hands-on training programs for dentists. It is Alliance’s commitment to the industry that we continue to offer hands-on training programs for dentists of all levels and specialties. When working with Alliance, you are working with reliability, affordability, and its commitment to education and innovation. 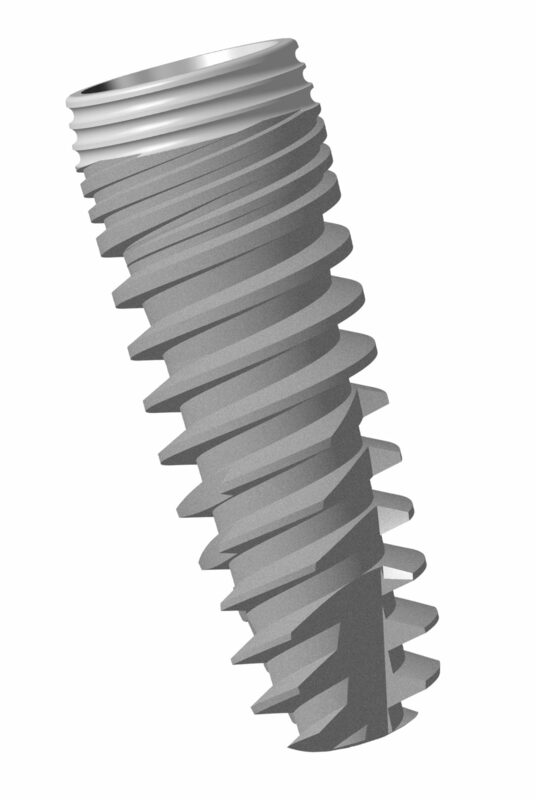 Using the latest fixture manufacturing techniques, extensive clinical inputs, and design from comprehensive computer simulation processes. 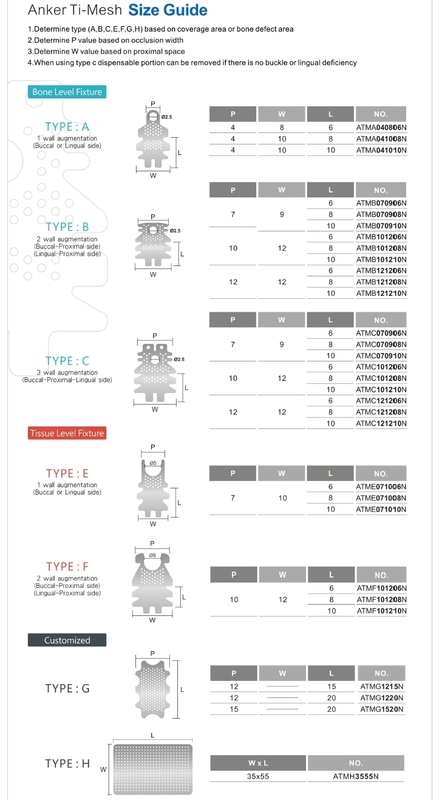 By using the latest techniques from the beginning to create the Anker Implants line, the regulatory burden is down to a minimum and the saving is reflected in the Anker Implant pricing structure. 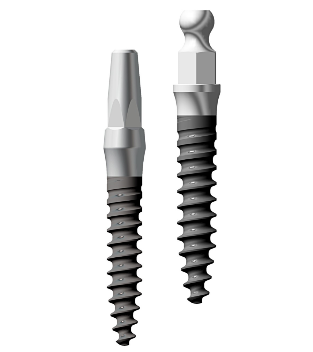 Digital technology has revolutionized the implant workflow, improving the quality and efficiency of the treatment. 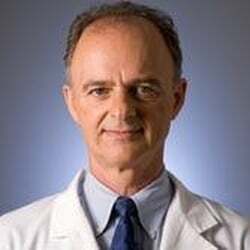 Take this course to learn how to digitalize your workflow from surgical guide design to final restorations. 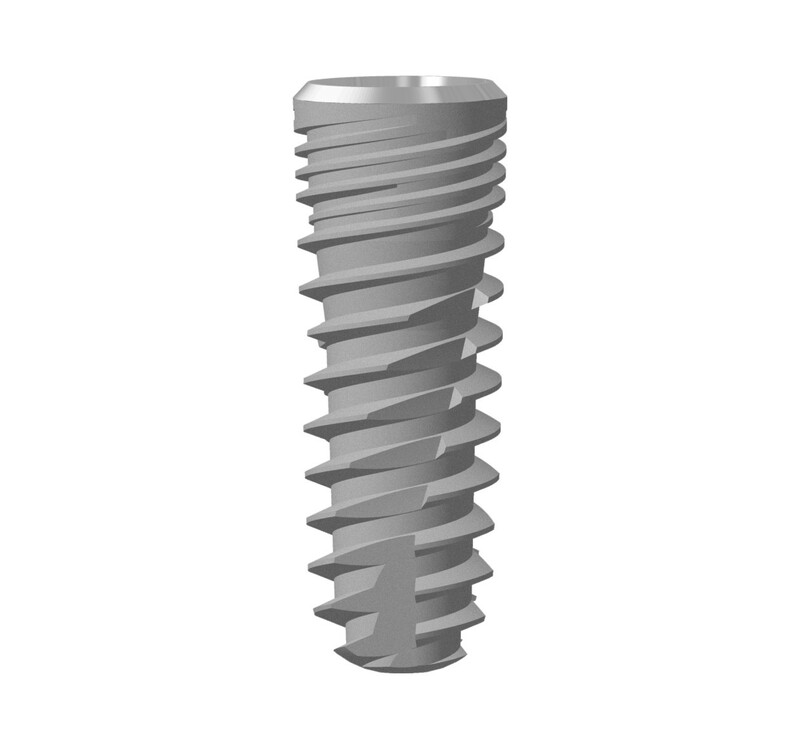 He has lectured locally and Internationally on Implants and Endodontics. 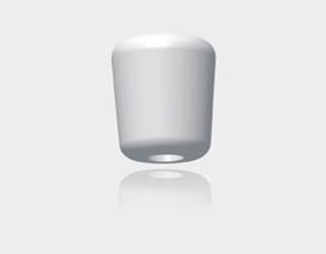 Dr. Karsant taught Narrow Diameter Implants through the Continuing Education Department at UOP for 8 years and has experience with many of the systems. 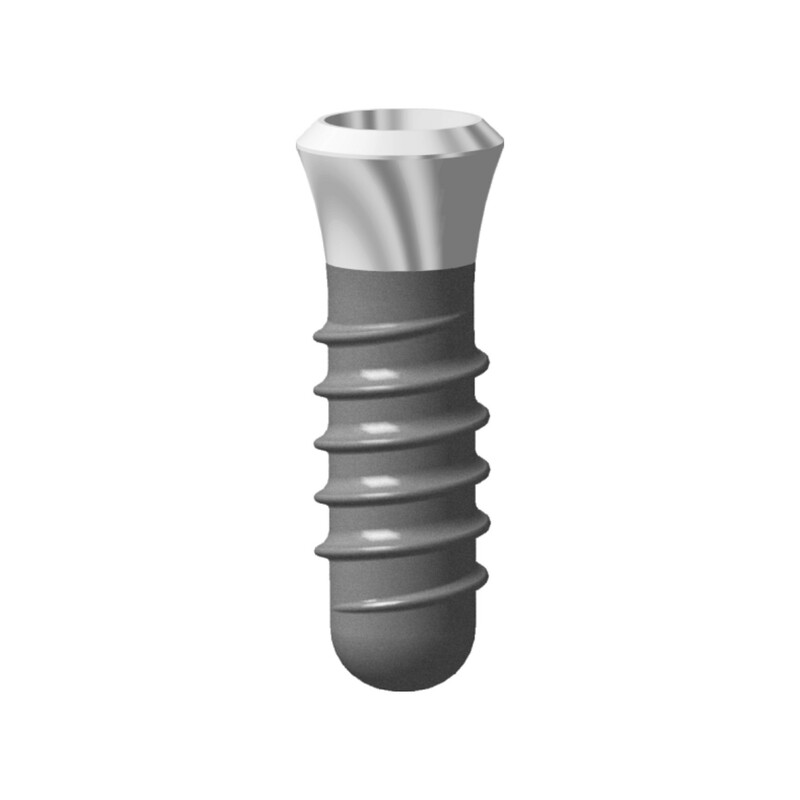 Dr. Karsant maintains a private practice in San Francisco placing and restoring both Regular Diameter and Narrow Diameter Implants. 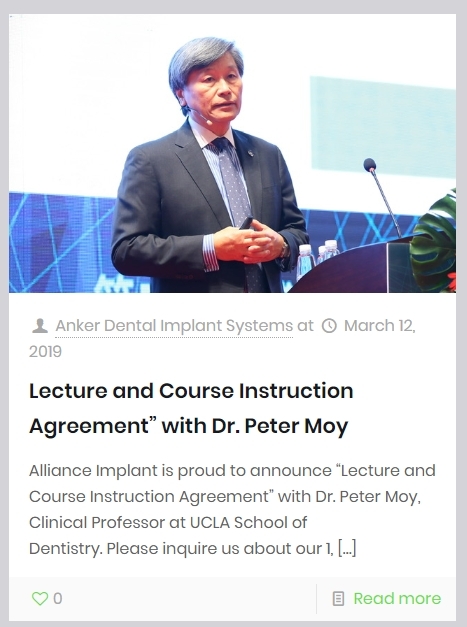 Alliance Implant is proud to announce "Lecture and Course Instruction Agreement" with Dr. Peter Moy, Clinical Professor at UCLA School of Dentistry. 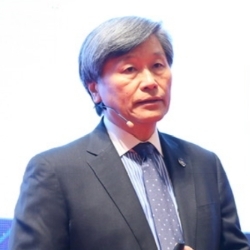 1, 2, or 3-day training courses on up-to-date implantology will be offered by Dr. Peter Moy at his West Coast Oral & Maxillofacial Surgery Center in Los Angeles. Courses include live surgical demonstration and laboratory hands-on training. 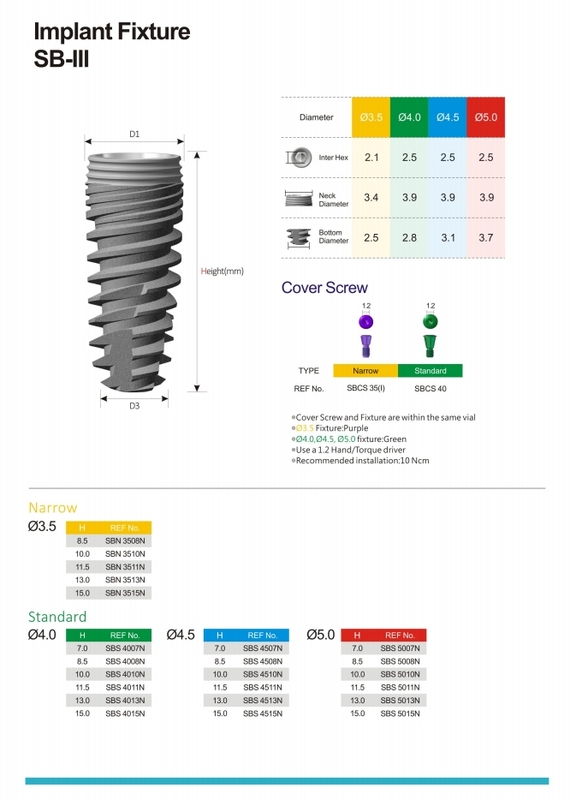 Alliance Global Technology Company, our parent company has been specializing in dental implant technology for approximately three decades, with top ranking product lines worldwide.Their proven success is based on rigorous in-house quality control and organized management. 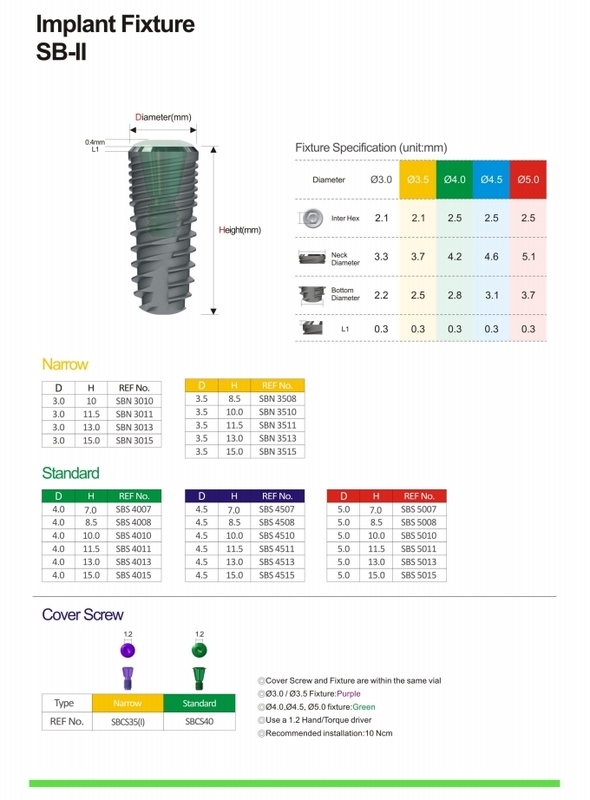 FDA, CE, ISO 9001,and ISO 13485 certified. 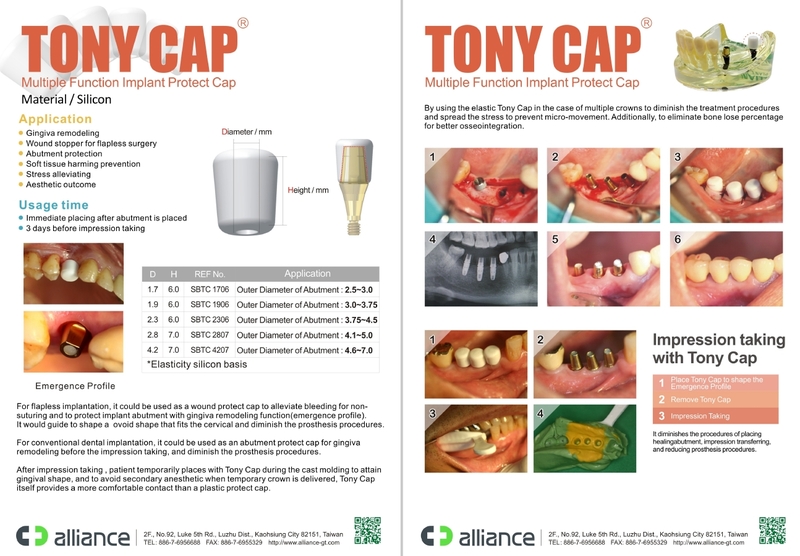 © Alliance Implant. All Rights Reserved.